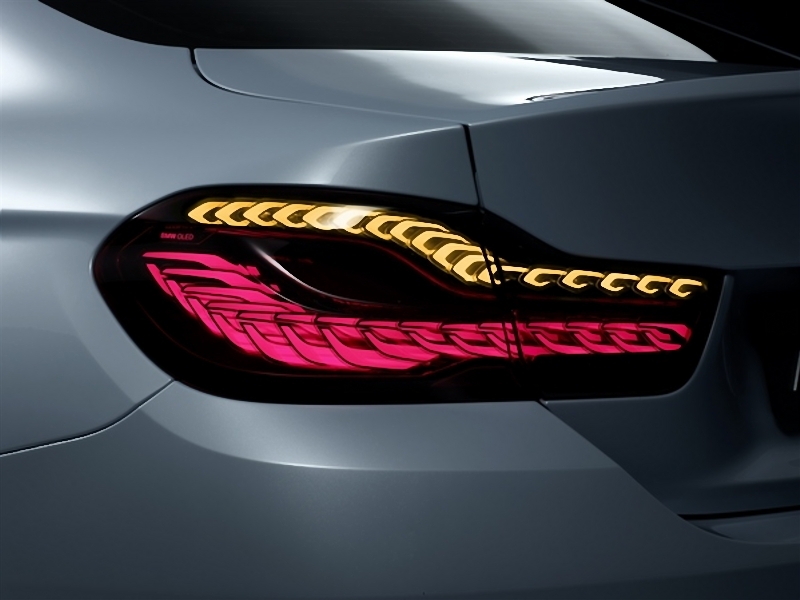 BMW showed OLED taillights in its conceptual M4 car model at CES 2015 will be making its way to new BMW M series cars by 2016, according to latest market rumors.In January 2015, BMW brought amazing products to crowds at CES 2015 with advanced automotive lighting technology including prototype OLED taillights on the conceptual M4 car model. The OLED taillights developed by Osram might be used on a massive scale in the upcoming M2 to be produced in 2016, estimated by a Car and Driver report. A BMW Blog report also said OLED lights will be introduced in a BMW M model car launched next year to celebrate the company 100th anniversary, but did not specify the car model. In a separate BMW Blog report, the author guessed that future BMW M5 cars will be featuring the new OLED taillights. If these stories prove true, Osram will probably be benefiting much from BMW OLED taillight demands.